A major collision in Sacramento, resulting in three people being taken to the hospital, occurred on February 1. The accident happened along Highway 99 northbound close to the exit for 47th Avenue at around 2:00 in the morning. The California Highway Patrol reported that a vehicle collided with the center divide. It caused a chain reaction with at least three vehicles striking each other. Following the accident, two people were struck by passing cars after they got out of their vehicles. Two of the three people who were transported to the hospital are said to have major injuries. According to the CHP, several of the northbound lanes along Highway 99 were shut down by this major collision and remained closed for a large part of the morning. All the lanes were reopened by 5:00 a.m. It is sometimes reported that people get struck by a passing vehicle after a crash. This tragedy can happen for several reasons, causing serious injuries or fatalities. Following an accident, it is common for people to get out of their vehicles to exchange information and check for damage and injuries. If the vehicle is in a location such as one of the lanes, it might be struck again, increasing the risk of injury. Good Samaritans who stop to help those who’ve been in an accident are at risk also. Some park on the side and run across the road to help, putting themselves in danger. If the vehicle is drivable, move it out of the way of traffic. If possible, put a dash cam on your vehicle. A video record of an accident can help provide proof of fault and negates the need to leave the vehicle in a spot that could be dangerous. When the vehicle is on the right side, exit the passenger side. Step away from the roadway to a safe distance. If the vehicle is struck again, you don’t want it to be pushed into you. Set up emergency flares to warn oncoming traffic. If possible, turn on the car’s flashers and raise the hood. Never run across a busy highway. It is difficult for someone on foot to judge the speed of oncoming traffic. 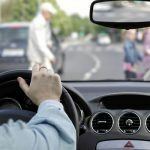 If you’ve been in an accident that resulted in your injury and it was caused by a negligent driver, an experienced lawyer can offer valuable advice. 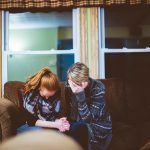 Those who are injured because of someone else’s fault should not have to bear the expense of medical bills, be uncompensated for their lost wages or for other expenses. A seasoned lawyer can review police reports, available video footage and talk to witnesses for you as well as deal with the insurance company on your behalf. 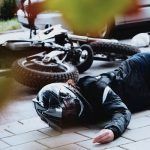 A lawyer with the financial resources can also perform their own investigation using techniques such as crash reconstruction to prove your case. When necessary, the lawyer can represent your best interests in civil court. 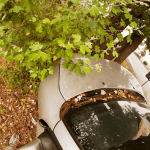 I’m Ed Smith, a Sacramento car accident lawyer. 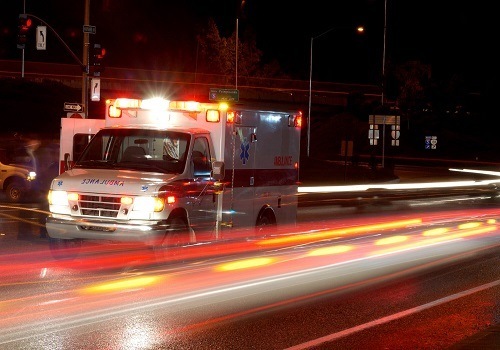 Motor vehicle accidents cause serious injuries that can result in lost wages, high medical bills, and other expenses. If you or a loved one was injured by a negligent driver or entity, an experienced lawyer may help you obtain the compensation you need. Please give me a phone call at (916) 921-6400 in the Sacramento area. If you are phoning from somewhere else in Northern California, use my toll-free line at (800) 404-5400, or you are welcome to use the online contact form. For 37 years, I’ve defended the rights of Sacramento residents and other Northern Californians to fair compensation in cases involving wrongful death, all types of auto accidents and traumas such as brain injuries. I am honored to be a member of the National Association of Distinguished Counsel, which represents fewer than 1 percent of lawyers. They only invite members they believe hold the highest standard of excellence in the legal profession. I also belong to Million Dollar Advocates Forum. This group represents the small number of lawyers who have obtained more than one million dollars for a client through a verdict or settlement.